Divide the cucumber, strawberry and mint between 16 x ⅓-cup-capacity (80ml) popsicle moulds. Place the Pimm’s, cordial and water in a jug and mix to combine. 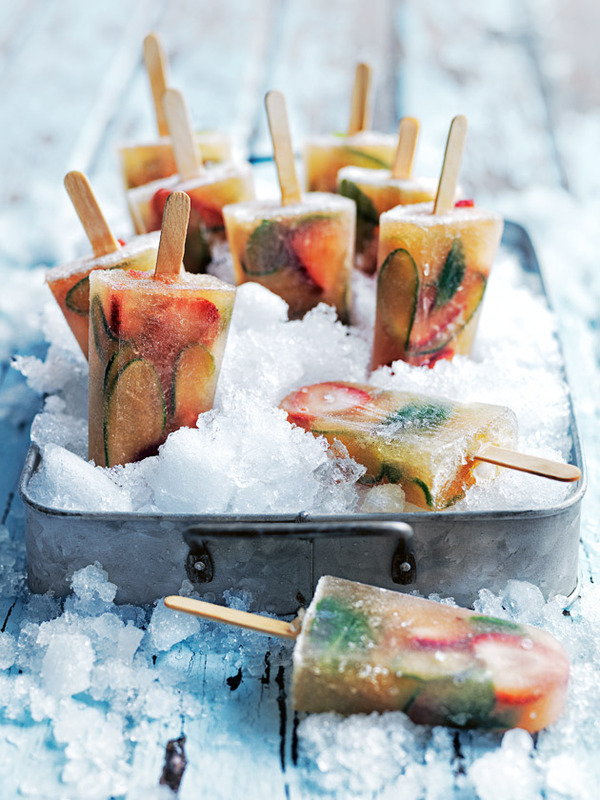 Pour the Pimm’s mixture into the moulds, cover with foil and place a popsicle stick in the middle of each mould.